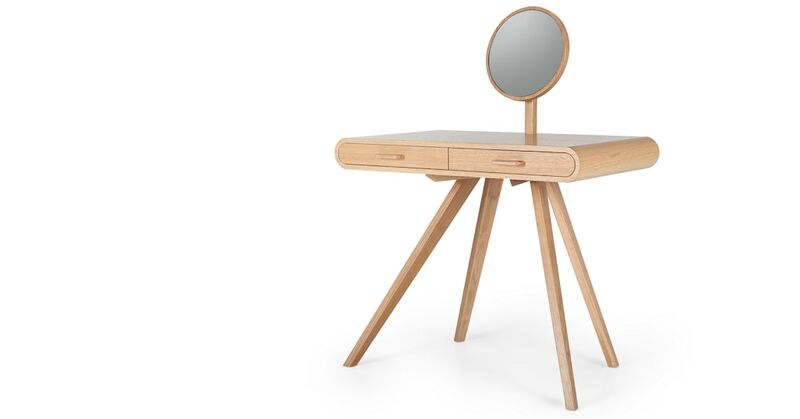 This dressing table is elegantly balanced with slender, tapered legs and gracefully curved edges. Topped by a stylish round mirror. The body is coated with a protective, barely-there lacquer. Touch it, and you can still feel every ridge and groove of the wood. Despite its refined good looks, this is a sturdy and stable piece. It's crafted from engineered wood with a thick oak veneer and solid oak legs.